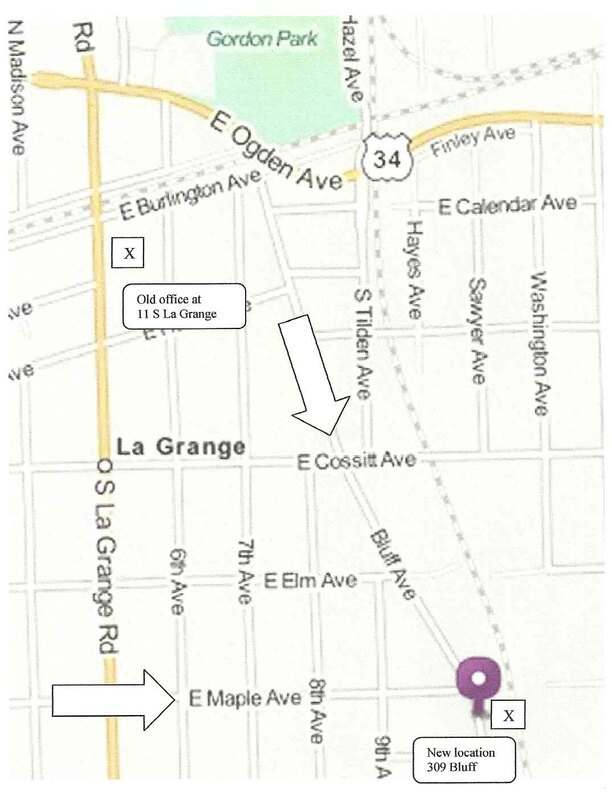 From our old office at 11 S. La Grange Road, you can head East on Burlington, and JUST before Ogden, make a right on Bluff. Maple is the second Stop Sign. 309 is the 3rd building on your left. The doorbell has my name on it. On La Grange Road, heading South, Maple is the 2nd street past Cossitt (see the La Grange Theater). Turn left (East) on Maple and take it to the end, which is Bluff Avenue. NOTE: On this map, North is "UP"